– Visure Requirements is a state-of-the-art Requirements Management Software specifically designed to provide an integral support to the complete Requirement process. 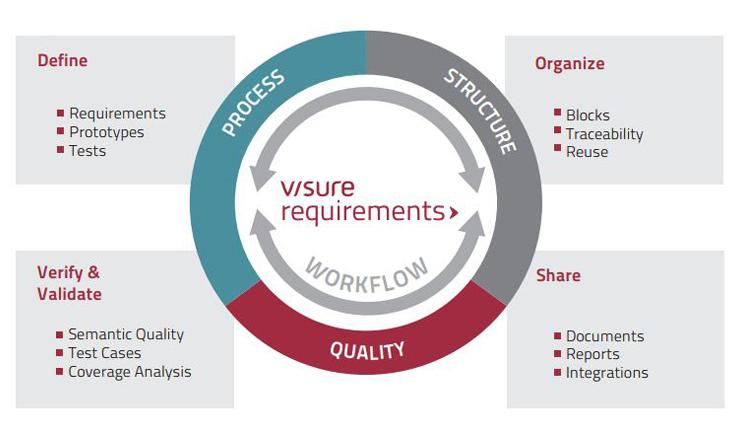 Visure Requirements is a flexible and complete Requirements Engineering lifecycle solution capable of streamlining your requirements processes. This allow more effective collaboration and increasing quality. 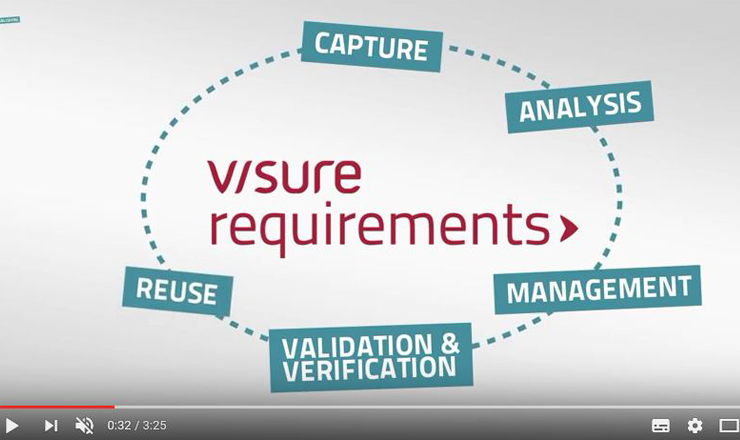 Visure Requirements is the ideal answer for companies looking for a single solution to define and implement their requirements processes supporting requirements capture, analysis, specification, validation and verification, management and reuse. Visure Requirements becomes the process backbone, managing all requirement related information, their relationships and their interactions with the users. It helps standardize and enforce the defined processes across the organization, formalize a common requirements specification structure and handle changes throughout the lifecycle. Visure Requirements helps avoid pitfalls and mitigate risks each step of the way, from writing better requirements and prioritizing needs to providing the industry’s best change impact analysis capabilities.